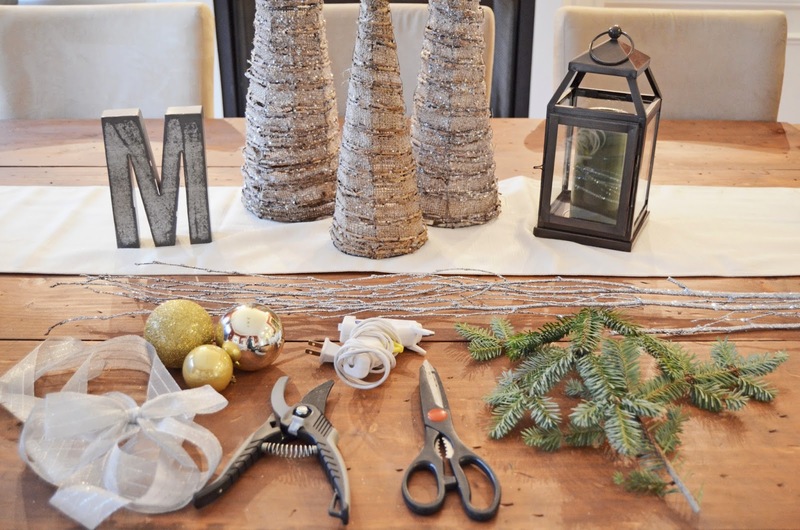 I have three simple and totally wallet friendly DIY Christmas decor pieces for you today. I finished pulling out all my Christmas decorations last week when I realized, I really don't have that many decorations at all. It was kind of sad, but luckily I was feeling crafty and had the time and supplies to do it. Most likely you will have these items lying around your house. For this piece I simply used a serving platter in my kitchen. I scored these geometric candles from Target on clearance for $6, but you could use any candles you have on hand. For the pine needles, I used all the extra trimmings we cut off our Christmas tree. If you have an artificial tree or threw out your trimmings, you can head to a local lot selling trees and they will give you their excess trimmings if you say "pretty please with sugar on top". After laying down the pine needles I placed the candles where I wanted them and filled in the rest of the space with ornaments, pine cones (from a bag of potpourri) and twigs for a more "earthy" feel. Dunzo! This entire pieces was less than $15. I had this glass jar on hand that I had purchased from Michael's once upon a time. (By the way they have coupons weekly in the newspaper for 40-50% of an item). I simply tossed in pine needless, ornaments, twigs, pine-cones and cut some glittery twigs I had from Walmart to sitck in the top. Because what piece is complete without glitter? And to top it off I added a bow with spare ribbon I had lying around from a previous present. I hot glued it closed on the backside of the jar. Booyah! Under $10. For this final piece, I used a container I had bought from Ikea last year. (It was holding washcloths in my bathroom previously.) 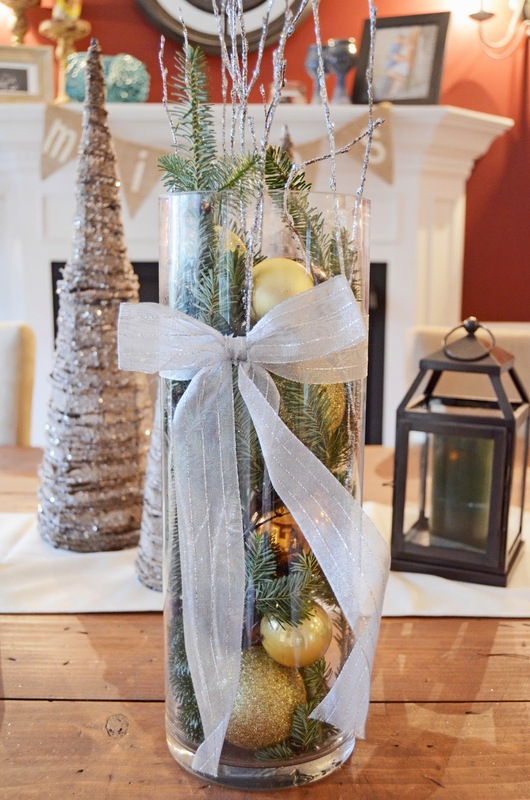 I added a cinnamon candle in the center and filled in around it with the pine needless, pine-cones and ornaments. I don't plan on lighting the candle since it's so enclosed by pine needless, but the pine-cones are from a bag of potpourri so they smell wonderful all on there own. Finito! Under $8. 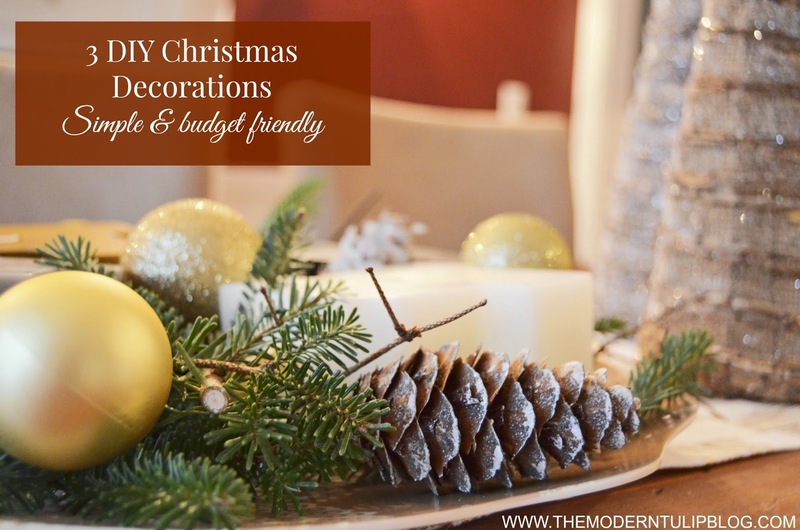 And there you have it, 3 simple and budget friendly Christmas decorations you can add to fill in or spruce up some spots in your home. I hope y'all are enjoying the holidays so far! 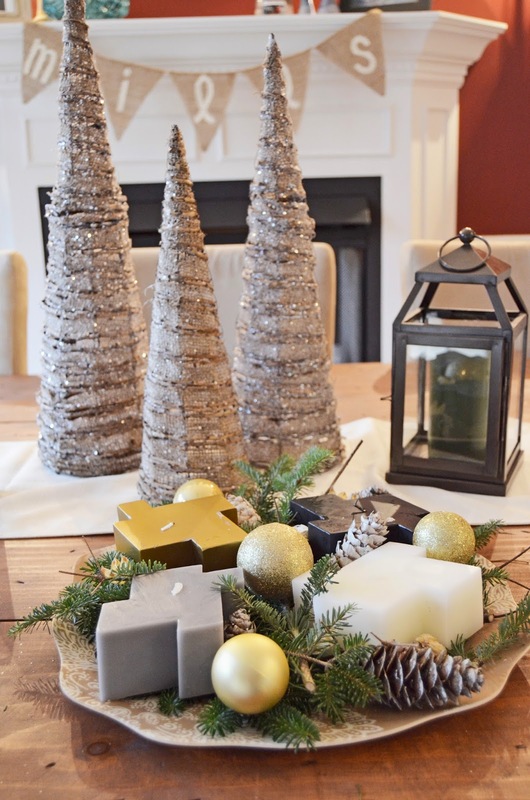 10 comments on "3 DIY Christmas Decorations || Simple & Affordable"
Simple but sweet, I love it! So, so pretty! 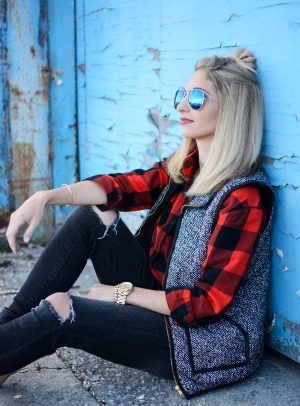 I love DIY and these are fantastic ideas! So, so beautiful! Thank you for sharing! So glad we've crossed paths! This is all so pretty. 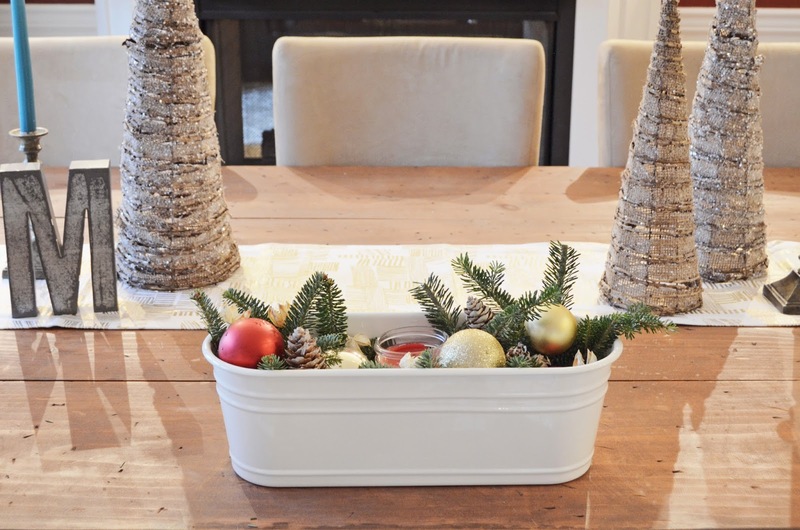 I love that tray with the candles and and pine. And the trees are lovely. Ilove homemade things at Christmas, we are making all our gifts and my Gran still brings out the loo roll santa I made her when I was about 4 and puts it on the window sill at Christmas! Your decor is so pretty and festive! Great ideas! 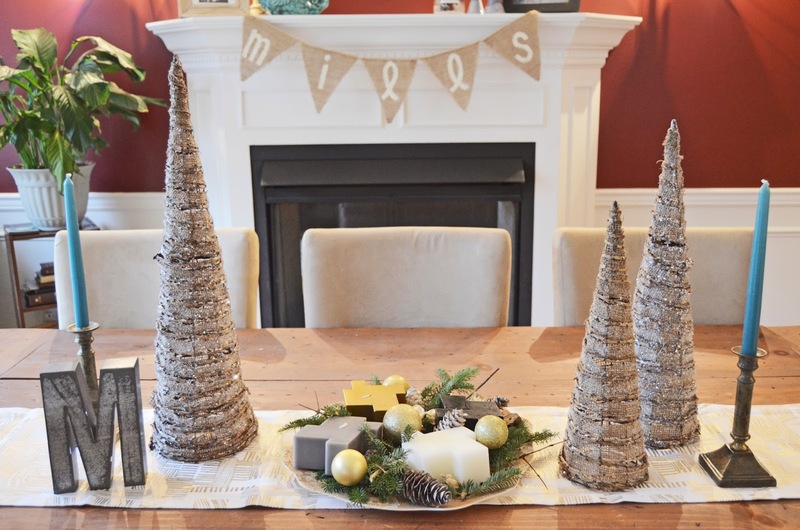 These are wonderful- I love diy decor so much.Thank you for sharing at the link party- excited to read more here.